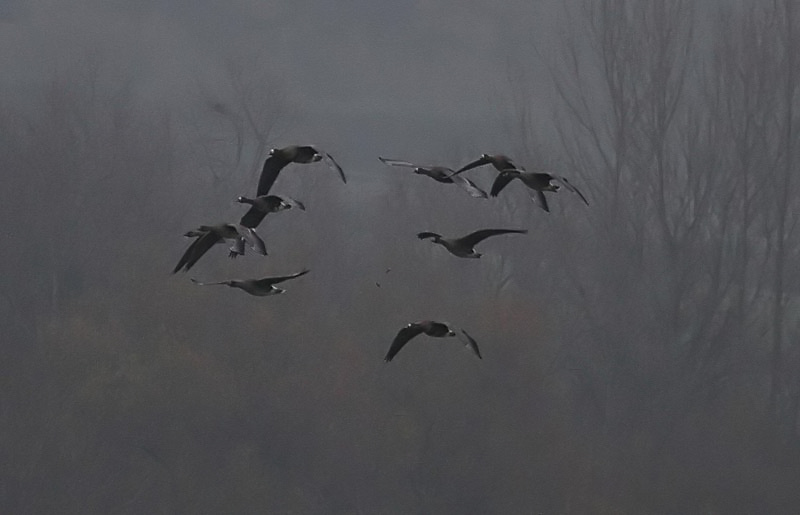 It was destined to be another gloomy day at Draycote Water. As I drove past Coventry it became quite foggy and prospects of seeing anything at Draycote didnt look good. 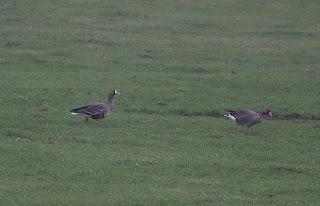 However, when I got there it was possible to make out the 10 White fronted geese although they were distant. 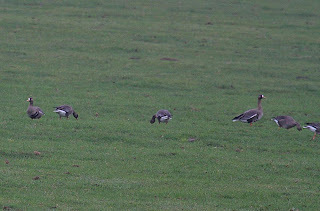 Fortunately on a later visit to Toft they were seen in flight and then much closer in the field next to the service road. 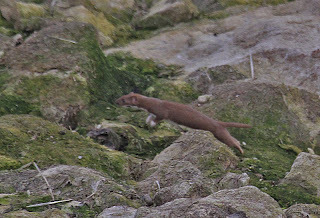 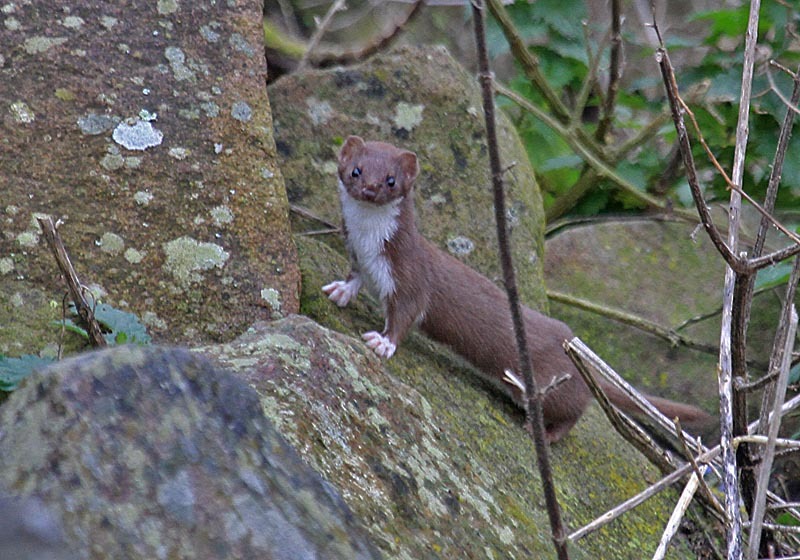 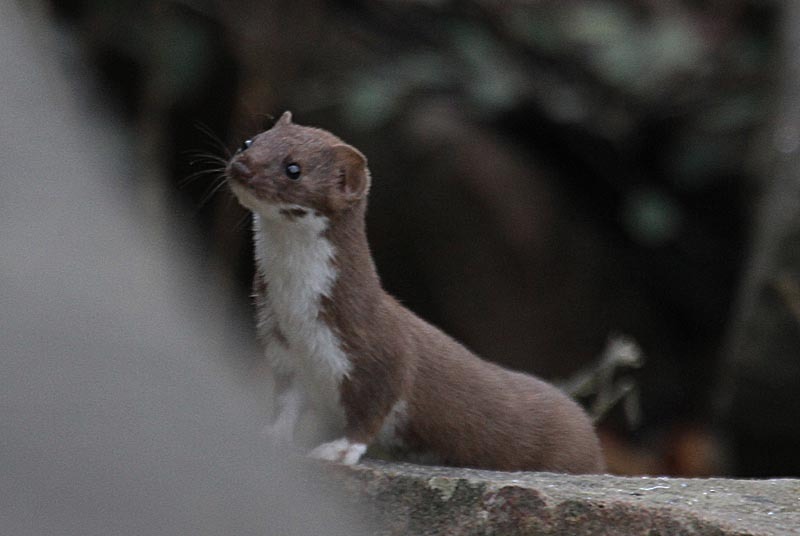 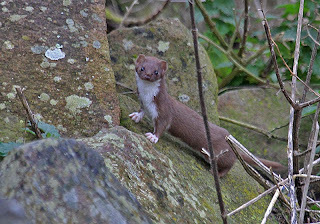 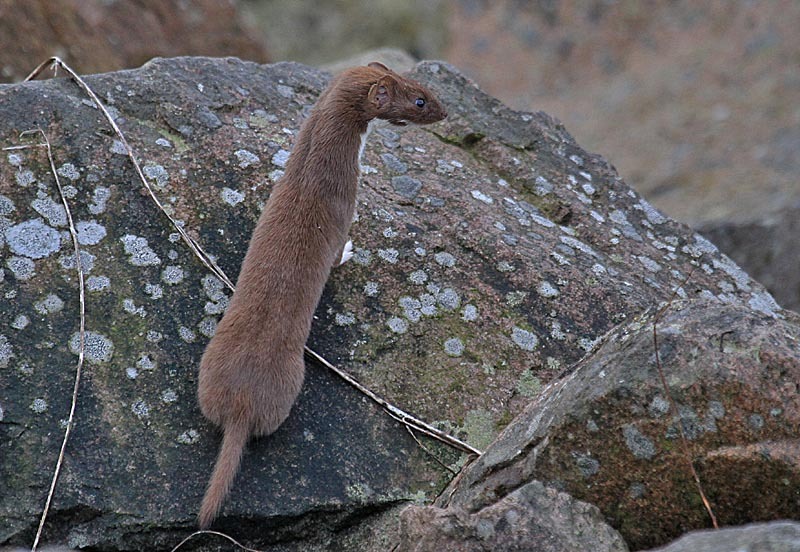 A Weasel provided some entertainment as it ran over the rocks near the visitors centre until confronted by workmen. It then retraced its steps, again at high speed. 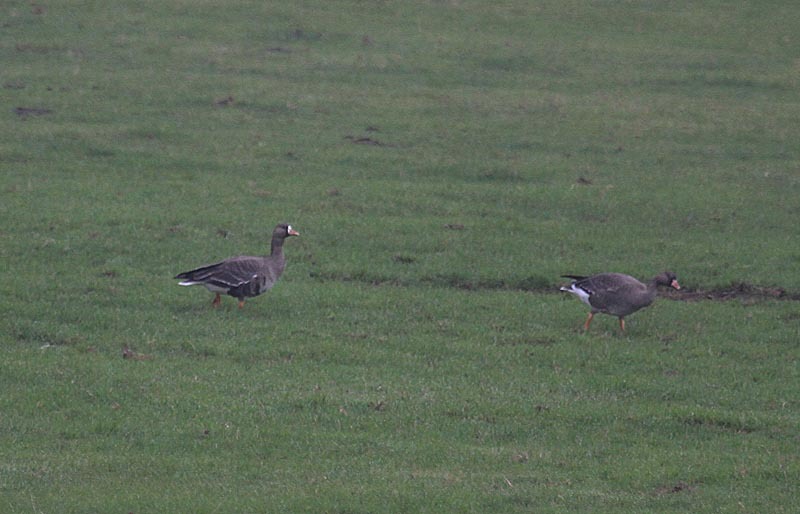 Meanwhile, other birds seen included female Common Scoter, 3 Dunlin, Adult Yellow legged Gull, and Grey Wagtail. 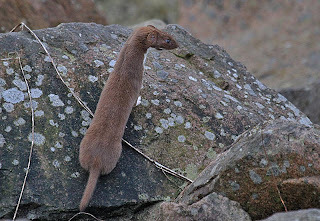 Minor irritation was caused by a small dog called Mollie with a liking for Denim. 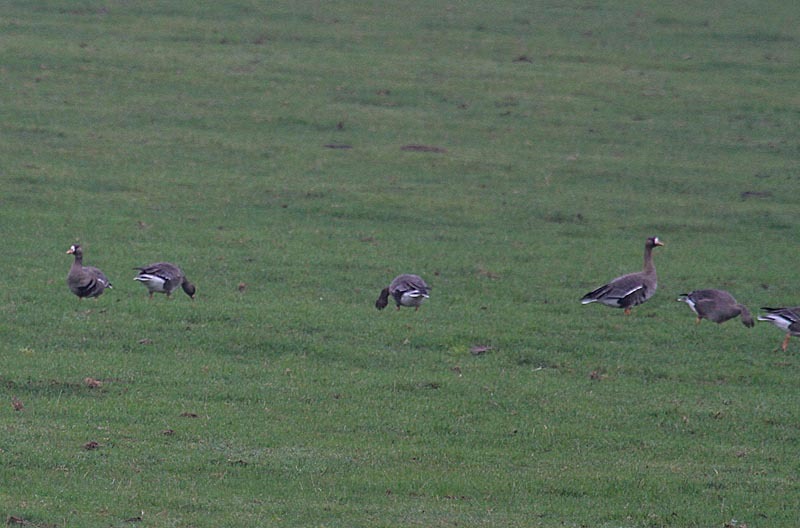 I fantasised about a large eagle species swooping down and carrying the dear little thing off. 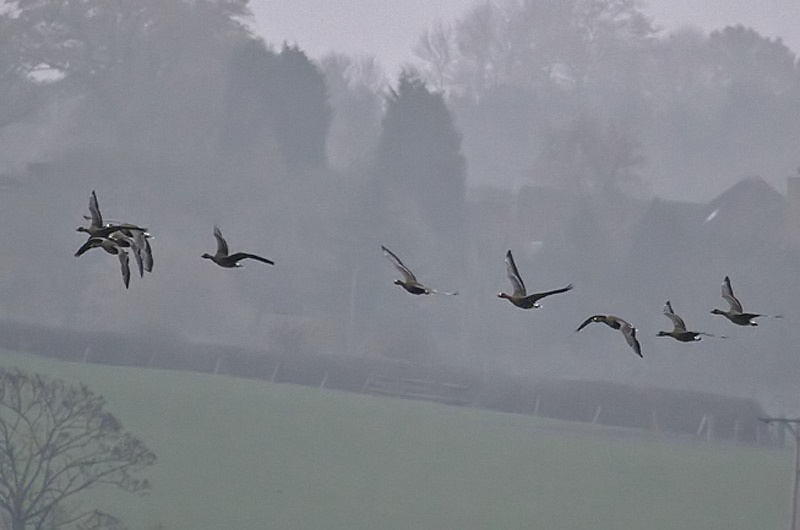 I also had to content with gangs of cyclists in yellow passing, silently at Mach speed, but apart from that it was a pleasant enough walk round.